Brand new and experienced players – you are invited to throw your hat into the rink for the chance to win the Stanley Cup of Table Hockey! January 23, 2016 is the date. Mark your calendar. Sign-up. Take a break from your winter and come to play table hockey in sunny Southern California. 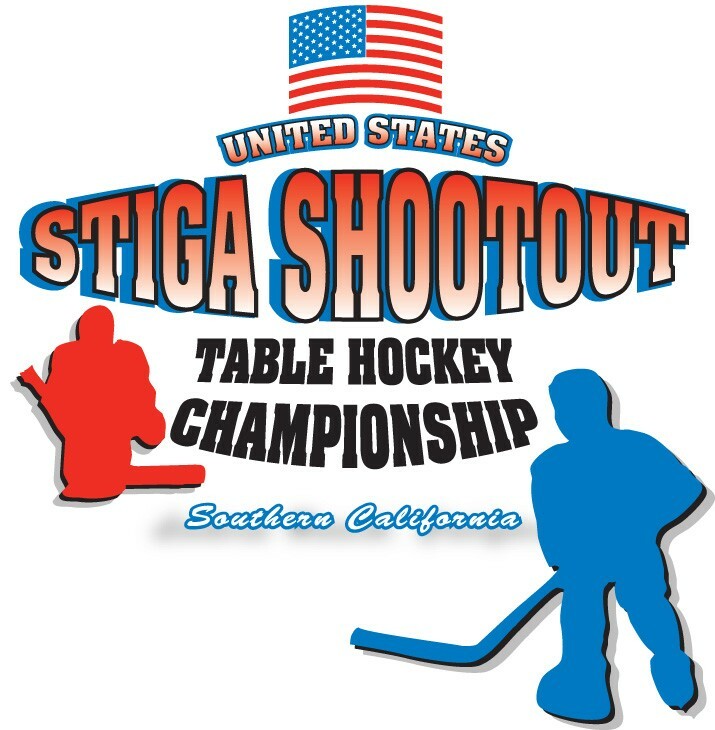 Just down the road from the NHL’s Anaheim Ducks and Disneyland, this is the ninth UNITED STATES STIGA SHOOTOUT Table Hockey Championship Tournament. Trophies awarded to the top three players in each division based on overall skill-level. First-time table hockey players, you definitely have the opportunity to win a trophy! During the tournament, players are gradually sorted into skill-level divisions so that you are playing against other players at a similar ability-level as you move-on and into the playoffs. Wow! Look at the first six people already signed up to play. A very competitive field with an international flavor. Let’s make SoCal tournament number nine the biggest and best UNITED STATES STIGA SHOOTOUT yet! *For the latest updates on the tournament or to discuss the event, go to TABLE HOCKEY HEAVEN. Registration is now open. Add your name to the player list! There are currently 10,616 active table hockey players from around the world who are ranked by the International Table Hockey Federation. Currently, the #1-ranked table hockey player in the world is Maxim Borisov, age 20, from St. Petersburg, Russia (ITHF Rankings as of November 26, 2015). Reggie Stefaniszyn, from Canada, is the defending Stanley Cup of Table Hockey Champion. Reggie defeated Roman Nezhyba, from the Czech Republic in the UNITED STATES STIGA SHOOTOUT Final in January 2015. All the way from Denmark, highly-ranked Bjarne Axelsen and Anette Engel will be making their first visit to Southern California this January. This tournament is part of the North American Stiga tour, sanctioned by the United States Table Hockey Association, the Canadian Table Hockey Association, and the International Table Hockey Federation (ITHF). Round robins will be played for a total of approximately 30 pre-playoff games. Scores are kept by each player on his/her own scoresheet, so that you will play a maximum number of games in a minimum amount of time! Playoffs are best-of-sevens in the A and B divisions, best-of-five in C, and best-of-three in D. The playoffs are conducted NHL-style, with reseeding in each round such that the highest seeded player is matched against the lowest remaining seed. Tournament rules will adhere to ITHF guidelines. International Stiga player figures. All games are cleaned with diluted Original Windex, have Suplaks, pledged rods, oiled slots and 'Tack it Over' on the rod pegs.